Cat's Best Nature Gold Mini Power Pellets are ideal for cats with long fur because the pellets don't stick to their fur. Cat's Best Nature Gold clumping litter is made of 100% natural plant fibres. This means that it is poΒible to dispose of it in a normal toilet (please heed local regulations). 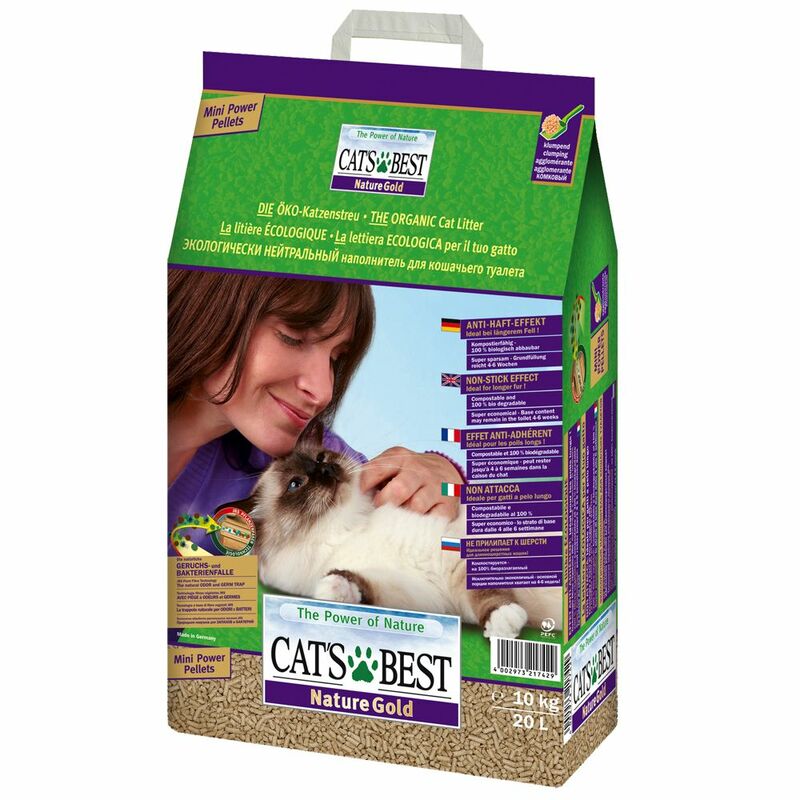 Enjoy the following benefits of Cat's Best Nature Gold: Won't stick to fur - ideal for long-haired breeds Very economical - highly effective Traps odors extremely well 100% pure plant fibers Compostable and 100% biodegradable Soiled clumps can be disposed of in the toilet Clumping litter Caution: Clumps should be deposited in the toilet one by one and given plenty of time to individually diΒolve before flushing. Find the perfect disposal bin for soiled cat litter: LitterLocker II PLus Here you can find Covered Litter Boxes: Covered Litter Boxes Here you can find more on Odour Management: Odour Management.